With a respectful tip of the cap to the great Mariano Rivera, today’s jersey selection for an Opening Day moment is the easiest choice of our entire daily series in the countdown to Major League Baseball’s Opening Series March 22-23 in Sydney, Australia — a countdown that started 51 days out with Ichiro Suzuki. Jackie Robinson‘s number 42 is displayed at all 30 MLB parks as testament to what happened at Ebbets Field on Opening Day in 1947. At the request of Brooklyn Dodgers president Branch Rickey, Robinson agreed to take on the monumental task of enduring racial abuse and becoming the first African-American player since 1889, when baseball became segregated. 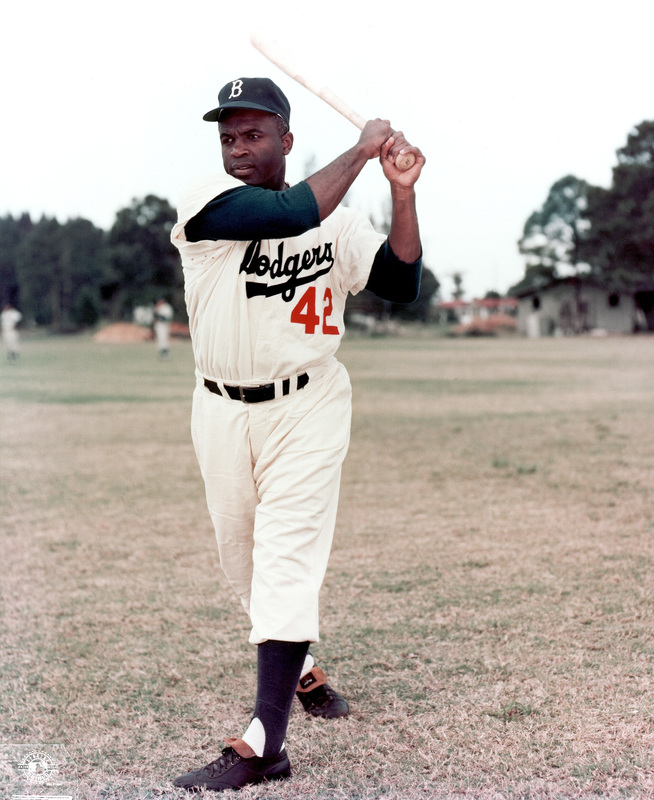 In taking his position at first base that day, Robinson pioneered the integration of professional athletics in America and played a major role in the coming Civil Rights movement. It was far more than a ceremonial Opening Day action, too. Robinson scored what proved to be the decisive run in that debut, a 5-3 Dodgers victory over the Braves, after reaching on an error his fourth time up against Johnny Sain. Beyond that, Robinson would become the National League Rookie of the Year with 12 homers, a league-leading 29 steals, and a .297 average. In 1949, he would be chosen as the NL’s Most Valuable Player and also would win the batting title with a .342 average. He would go on to the Hall of Fame. In 1997, to mark the 50th anniversary of that fabled Opening Day, MLB announced that no player would wear No. 42 in The Show again. The only exceptions were granted to those still active with the jersey, including a pair of Mo’s, Vaughn and Rivera, who would retire in order. 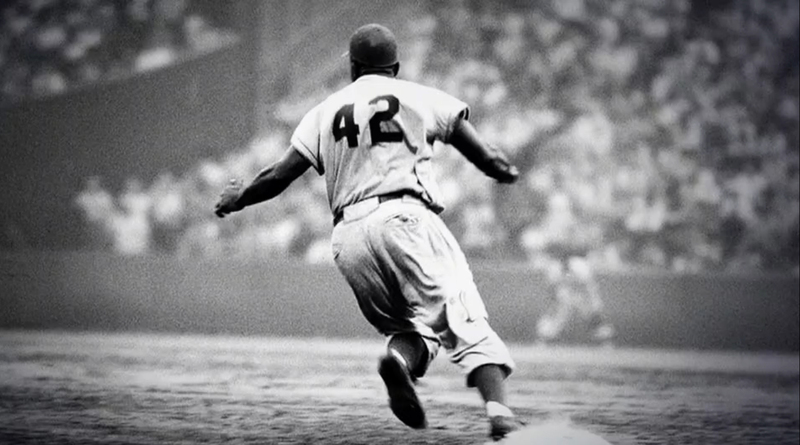 The only exception starting in 2014 will be on Jackie Robinson Day itself, when all players wear No. 42 in tribute. The story was told again last year in a major motion picture, “42,” and here’s hoping the story of an American legend will be told to each generation in the future and never forgotten nor taken for granted. And the Australian Baseball League best out of three Championship Series is on right now! The Perth Heat are one game up on the Canberra Cavalry in Perth – after a hard fought win in the 14th inning! You can watch it on ESPN. Reference to “debut” is wrong but understandable by reason of decades of misuse. 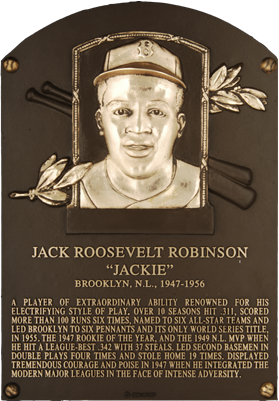 Jackie’s debut in Brooklyn uniform was in an exhibition game against the Yankees on April 12th at Ebbets Field. Let the countdown begin with one of the newest MLBlogs: Opening Day Countdown Down Under! With 42 Days left until Opening Day, we pay respects to one of the greatest of all times – the legendary, Jackie Robinson. I was there that opening day and I never forgot it. Baseball did change forever that day.